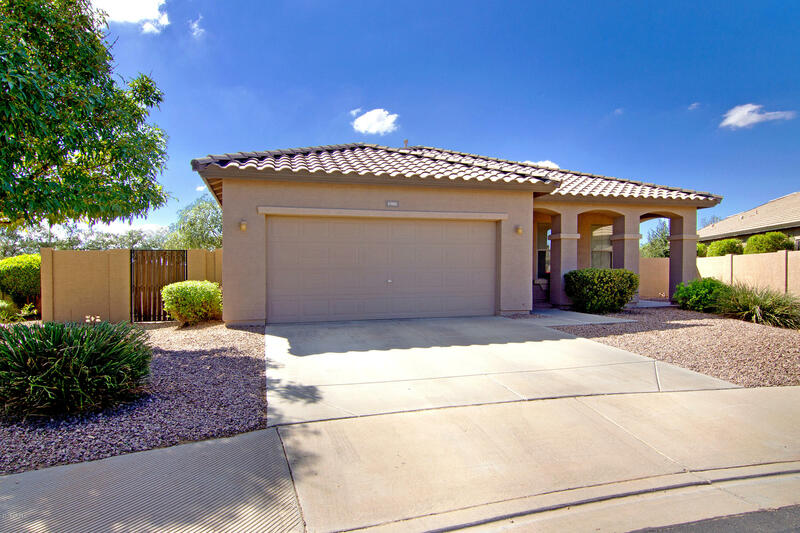 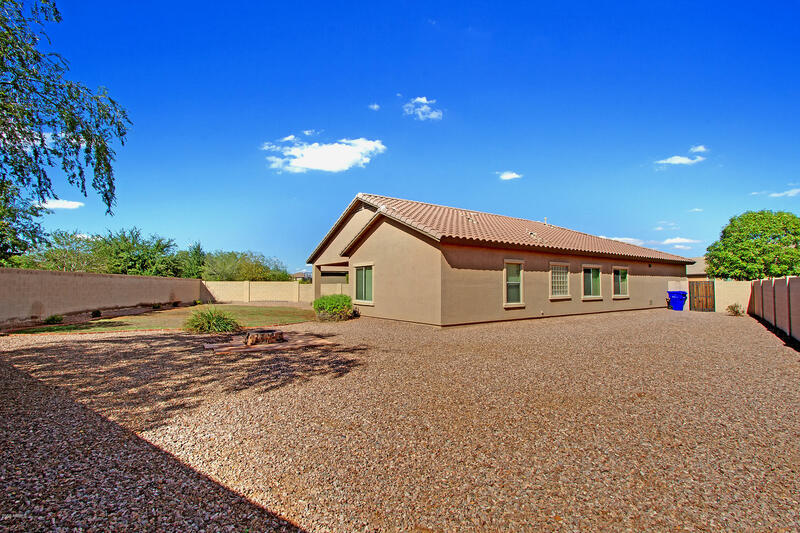 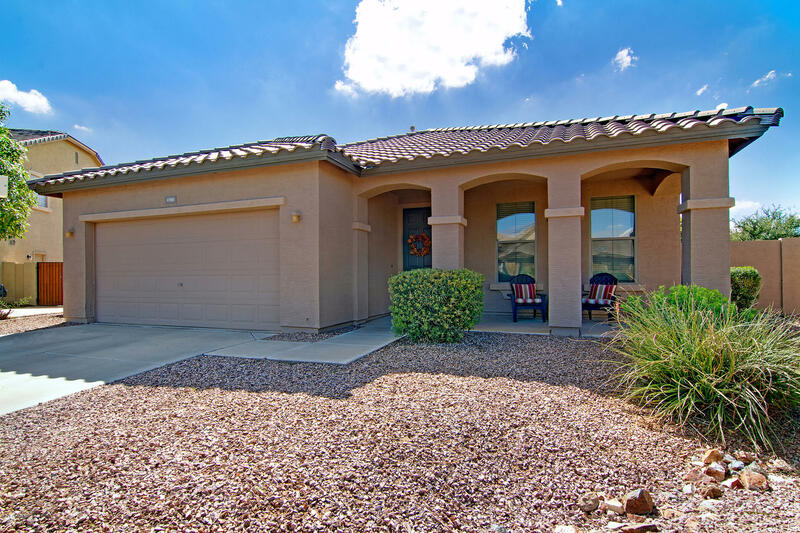 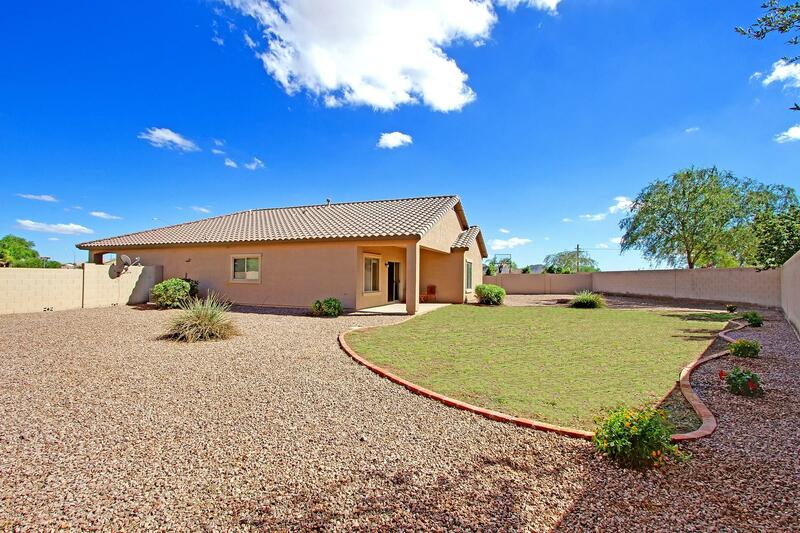 Wonderful home on large lot w/ Great Room floorplan! 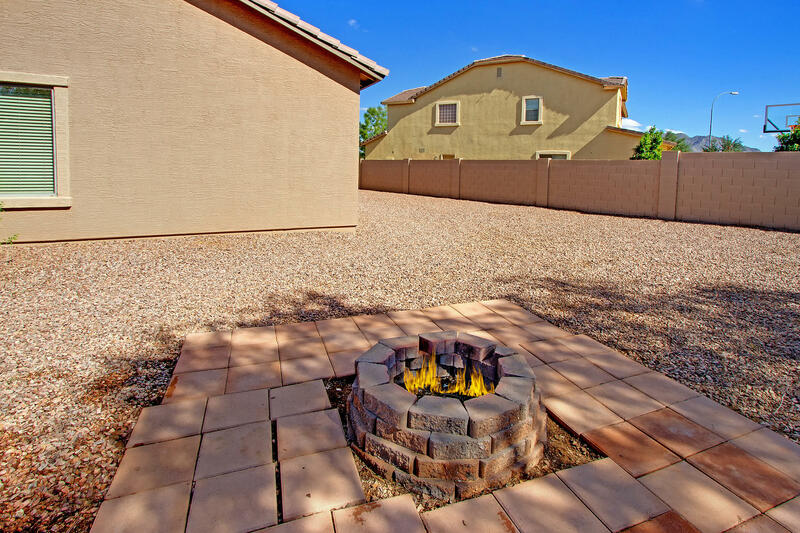 Huge backyard has grass, covered patio & lots of room on both sides (plenty of room to add a pool). 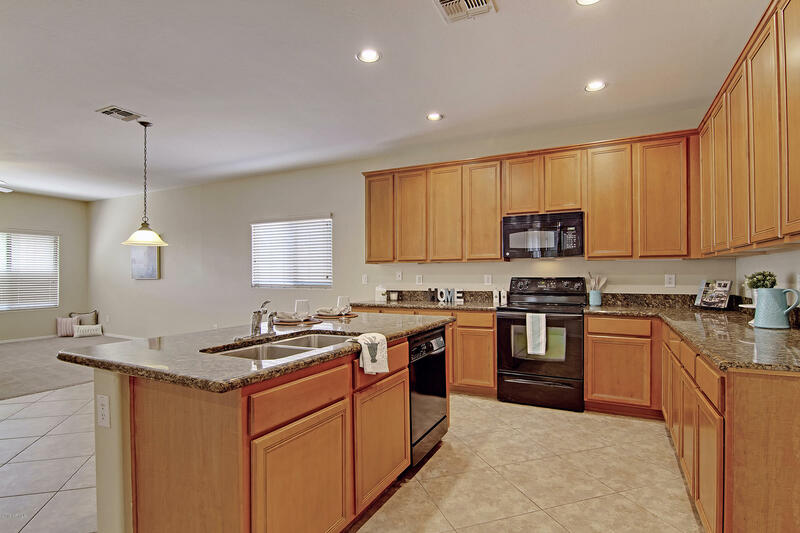 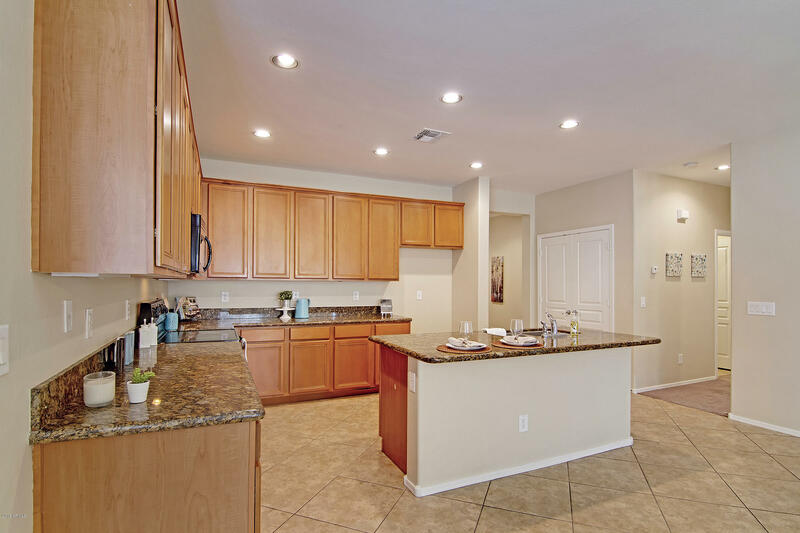 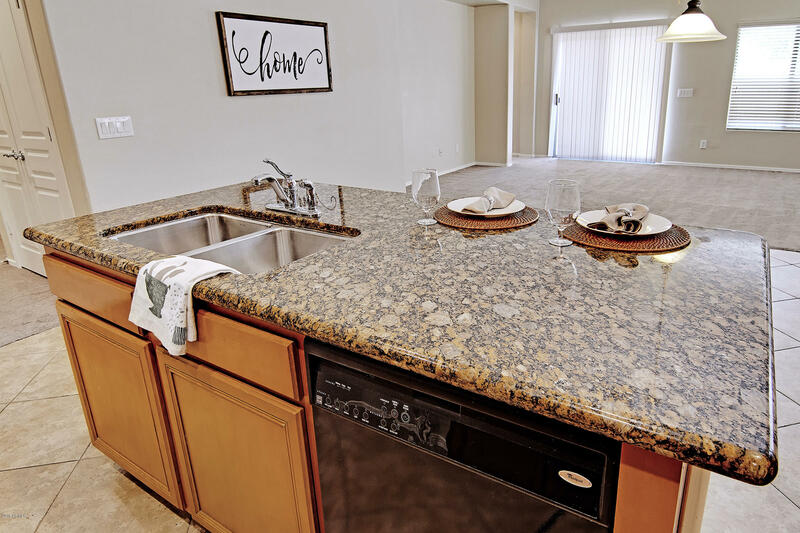 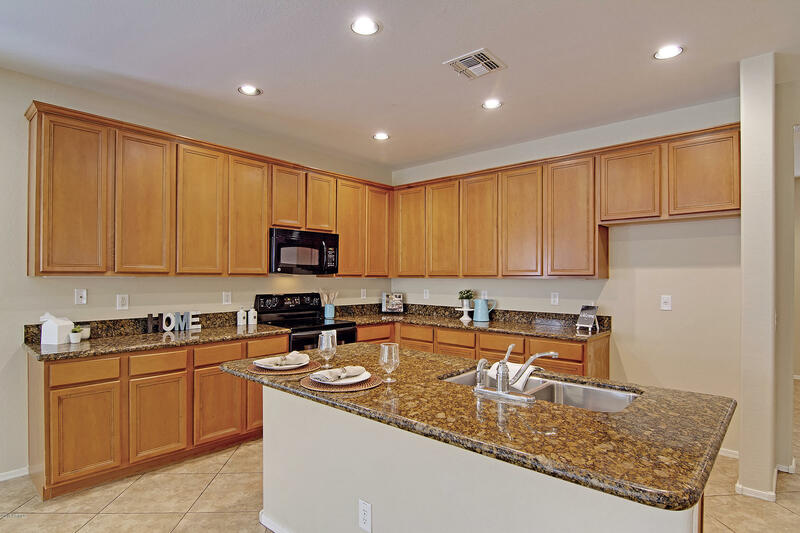 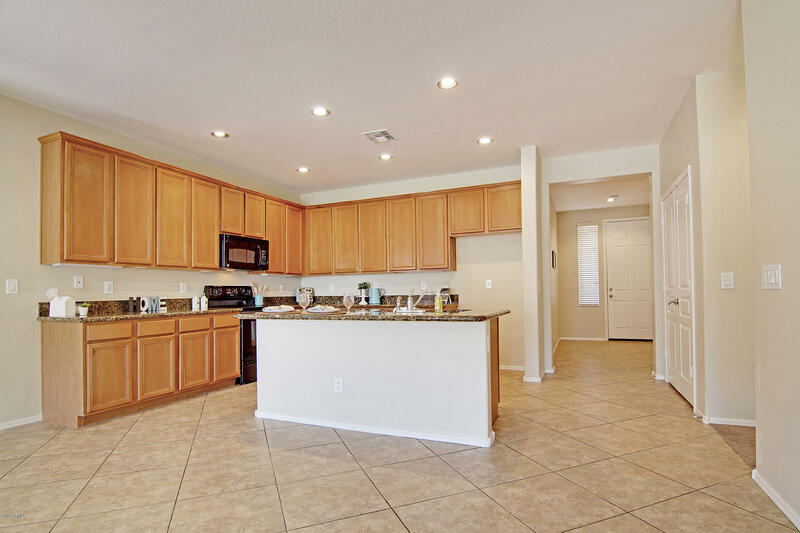 Eat-in Kitchen boasts a large island, granite counters, pantry, raised height cabinets & black appliances. 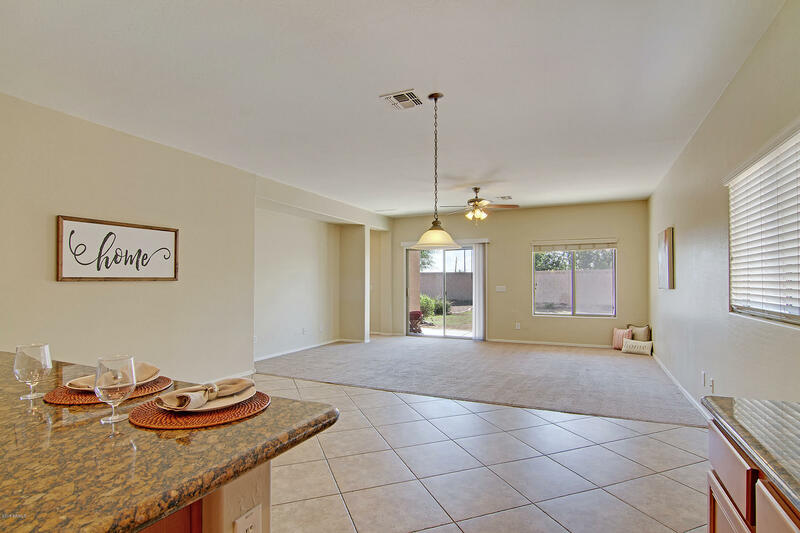 Kitchen opens to a spacious Living Room. 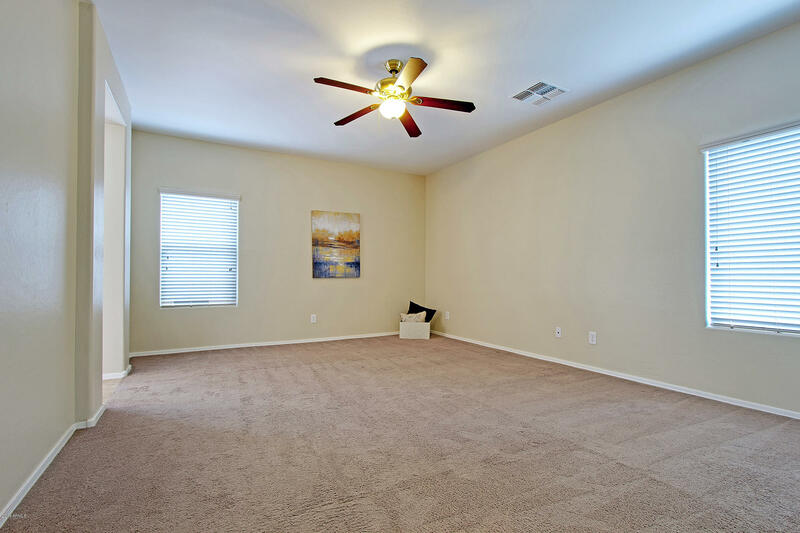 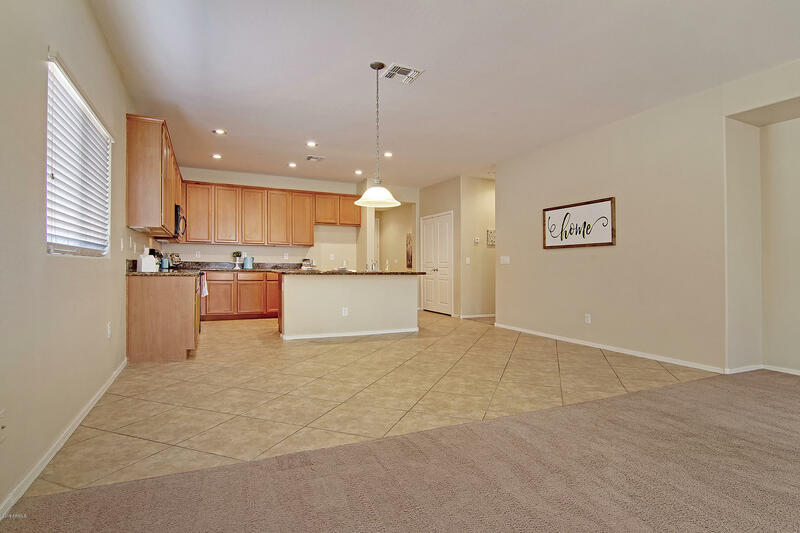 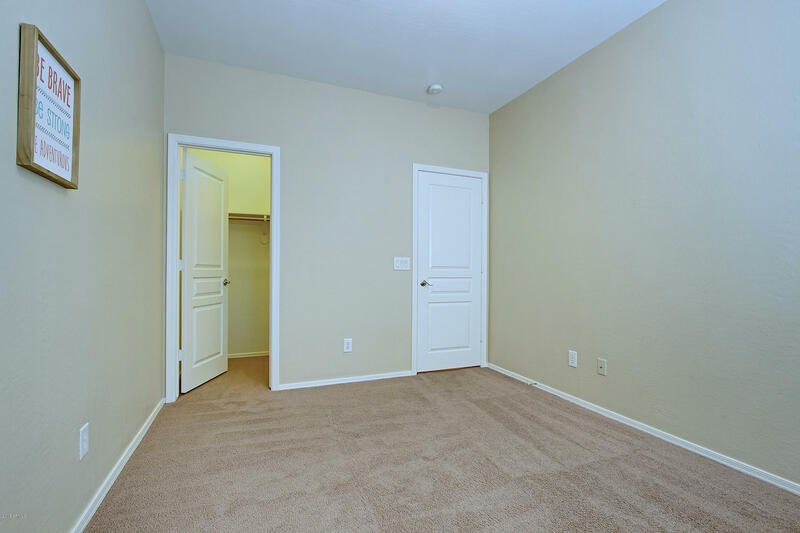 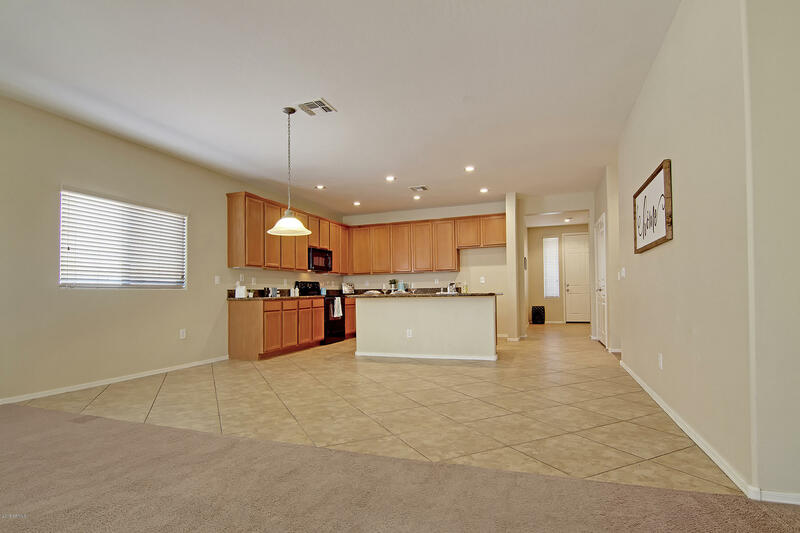 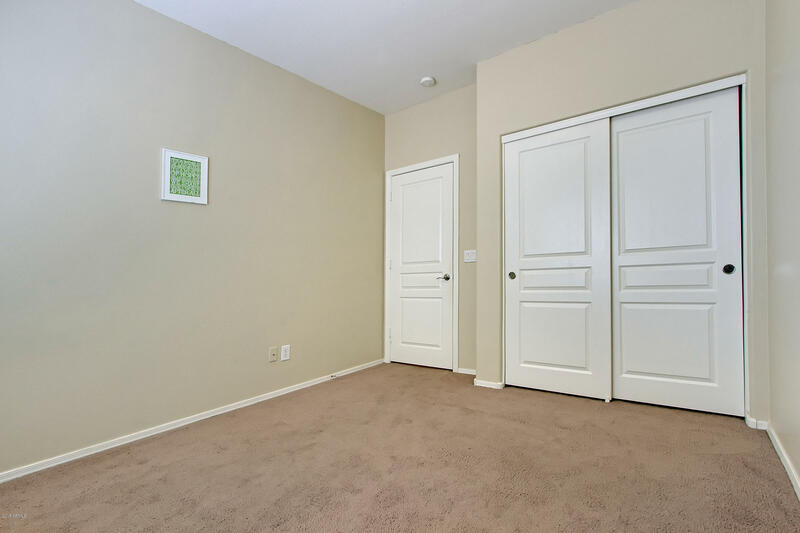 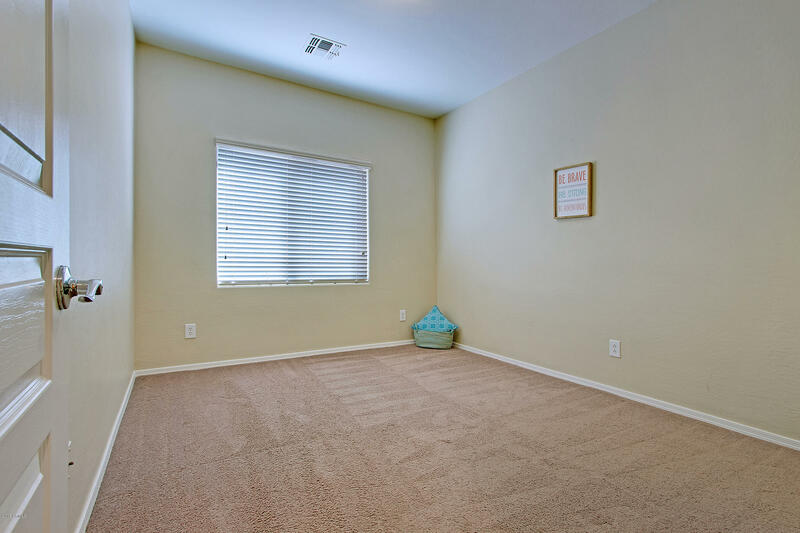 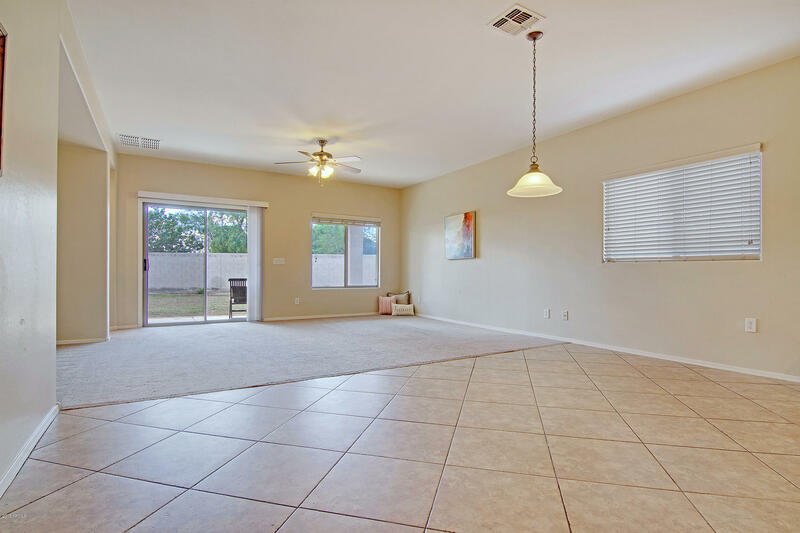 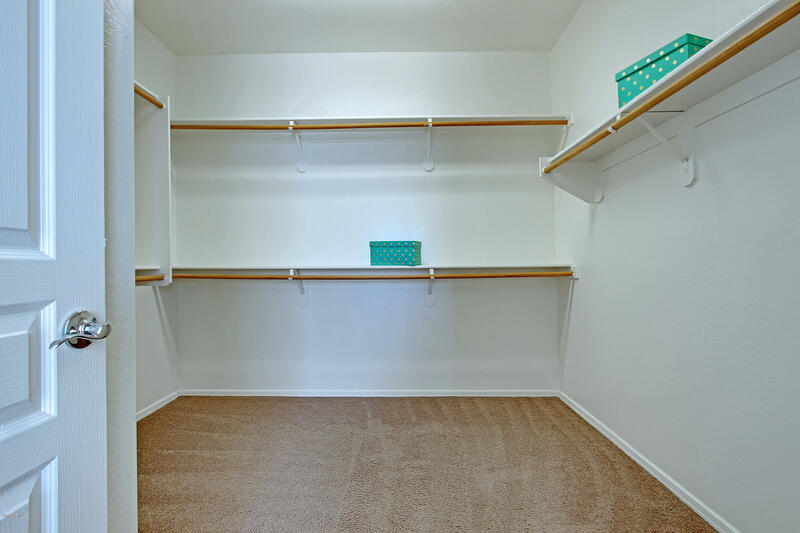 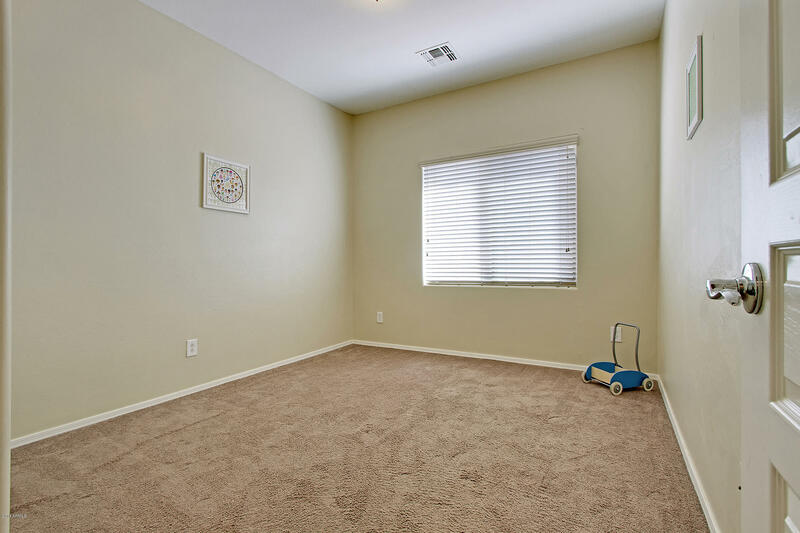 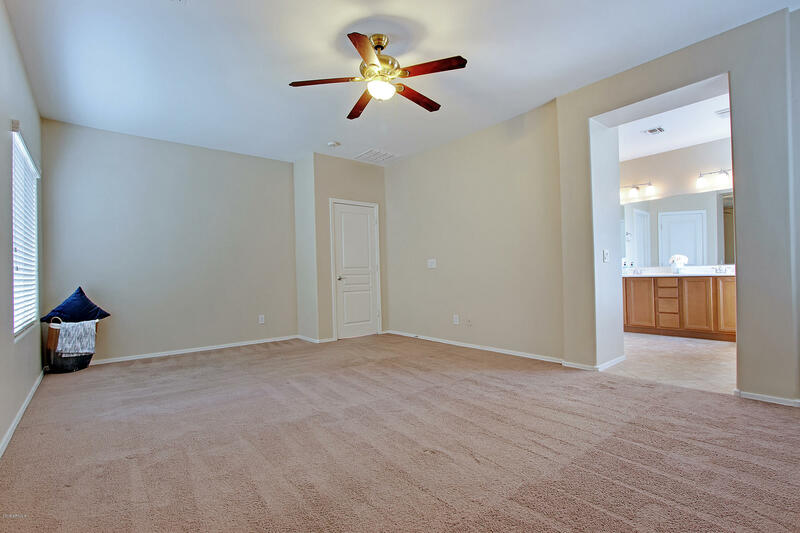 Triple split floorplan, w/ one bedroom near entry, two additional bedrooms & bath down another hall, and Master Suite split from other bedrooms. 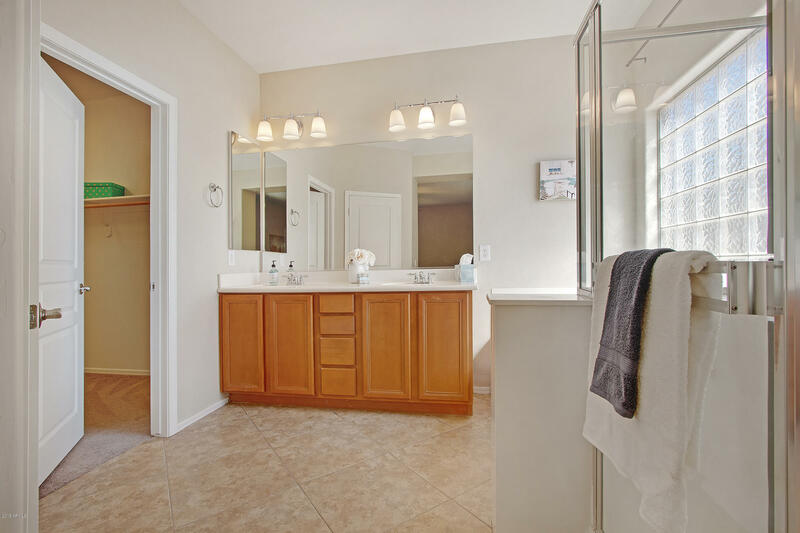 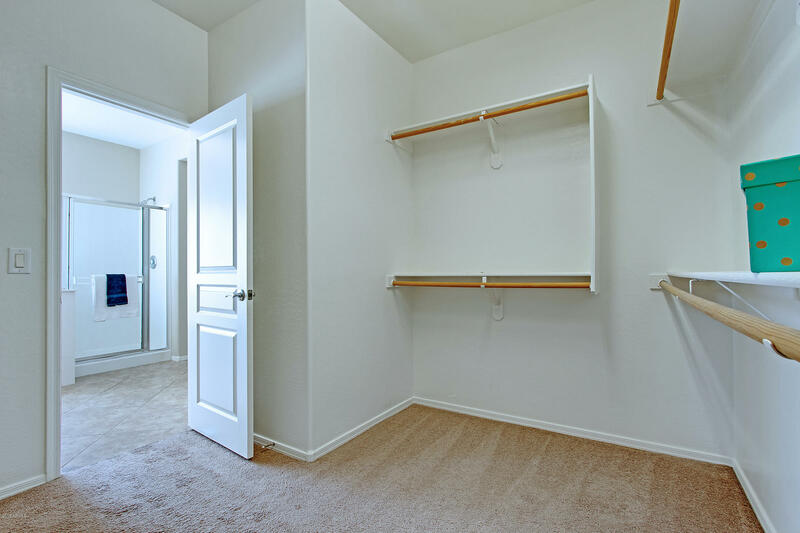 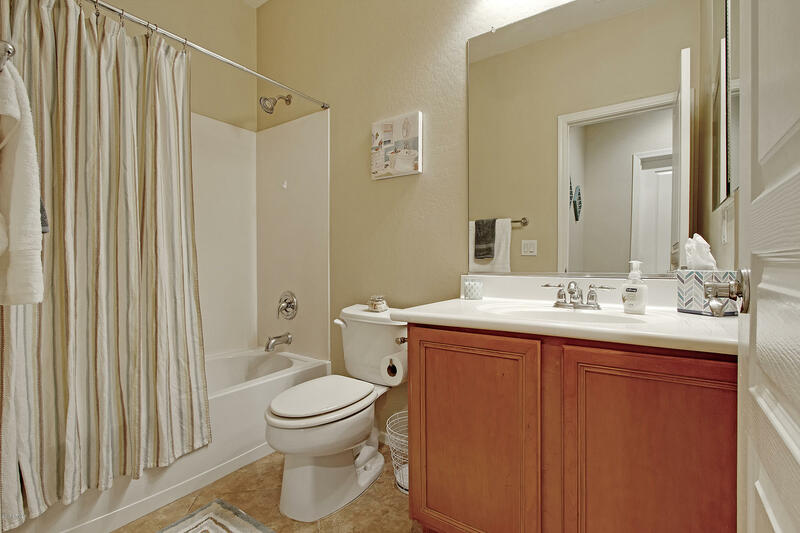 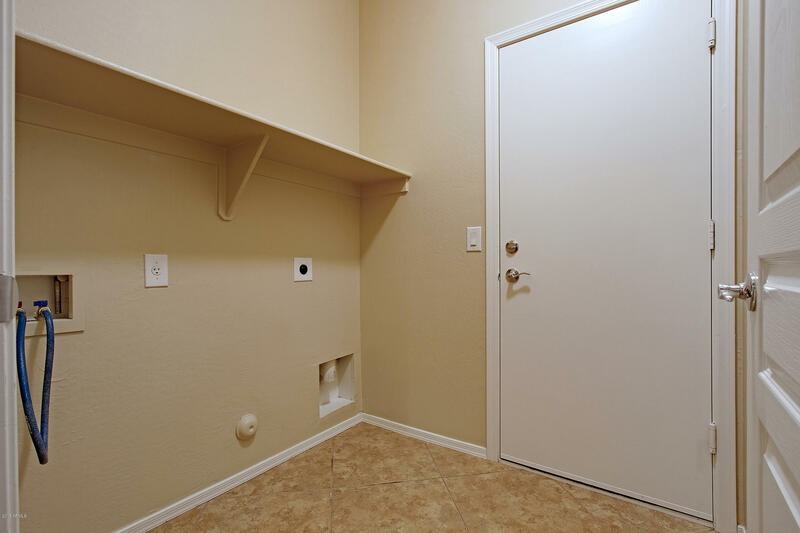 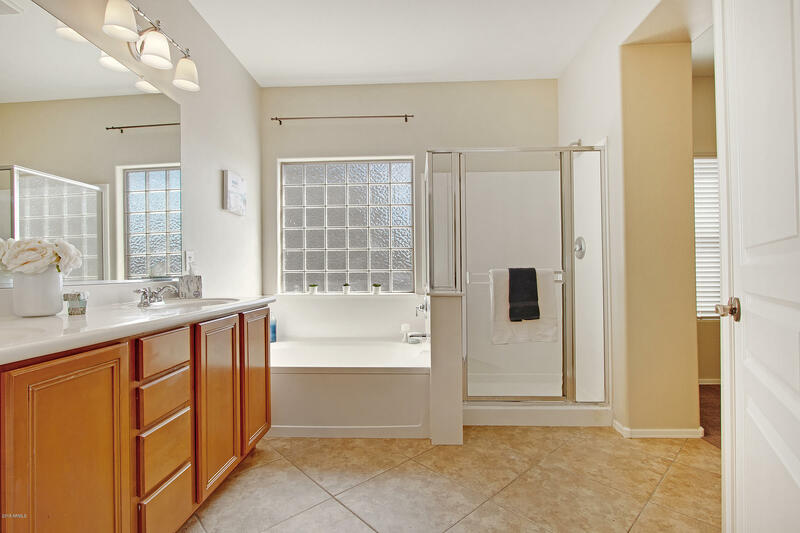 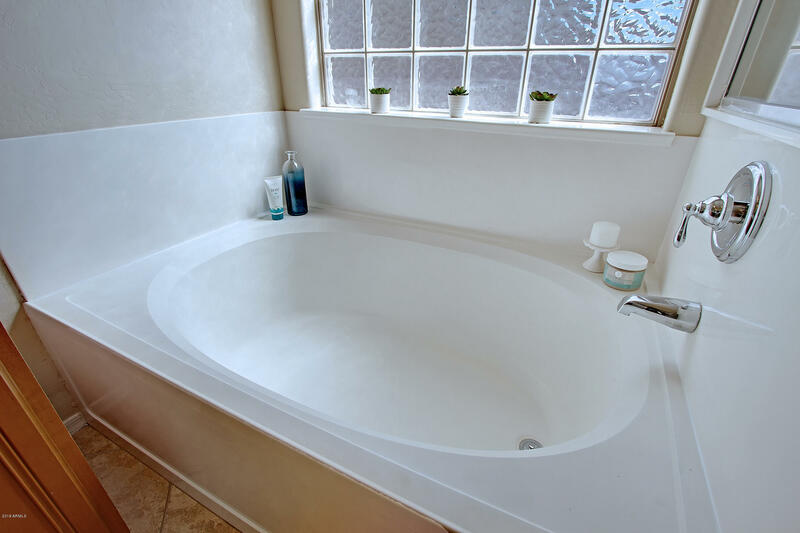 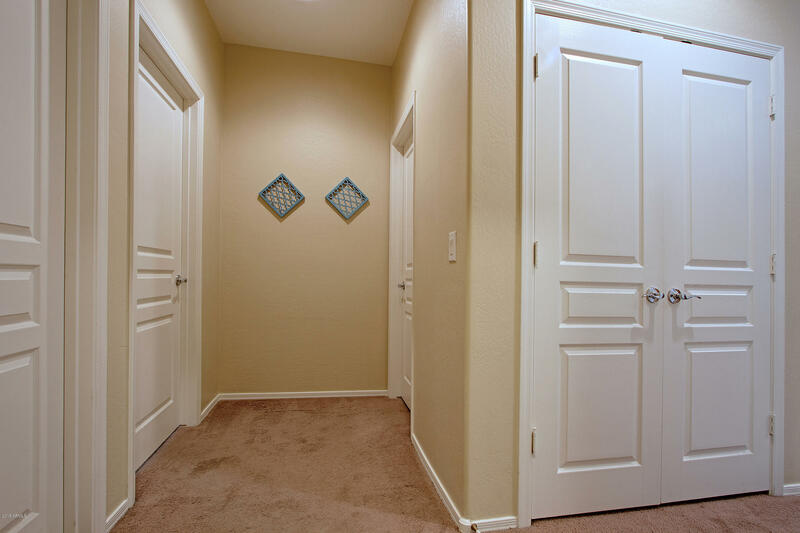 Master Suite features a large walk-in closet and Master Bathroom w/ dual sinks, garden tub & separate shower. 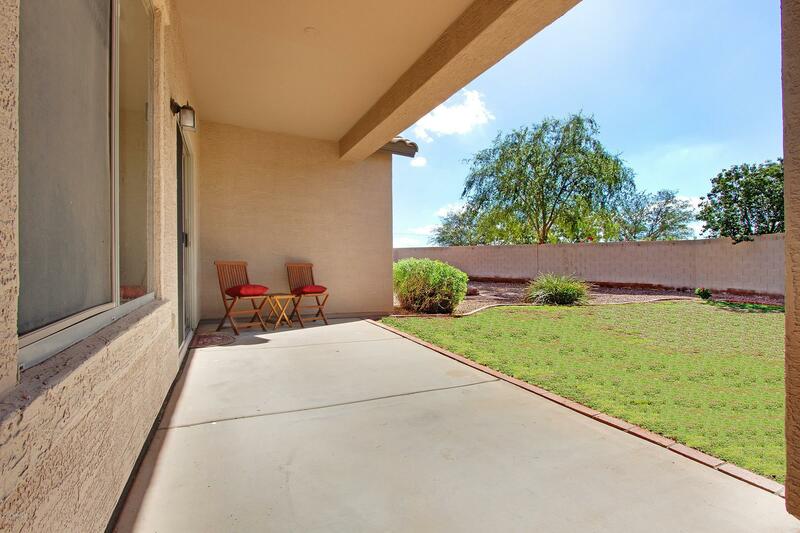 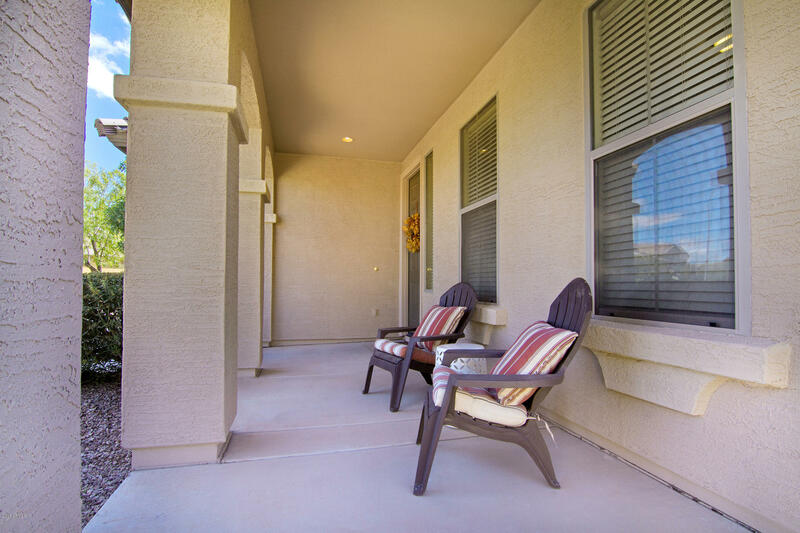 Front porch offers room to sit back, relax & enjoy cool autumn evenings. 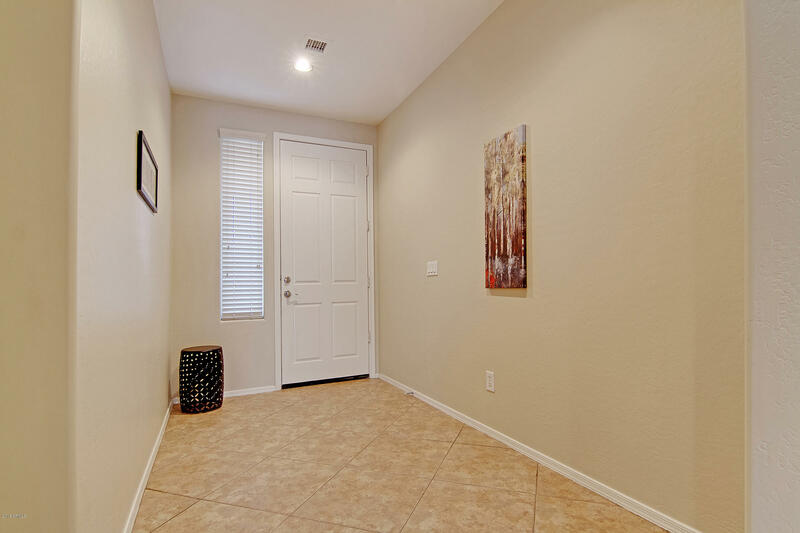 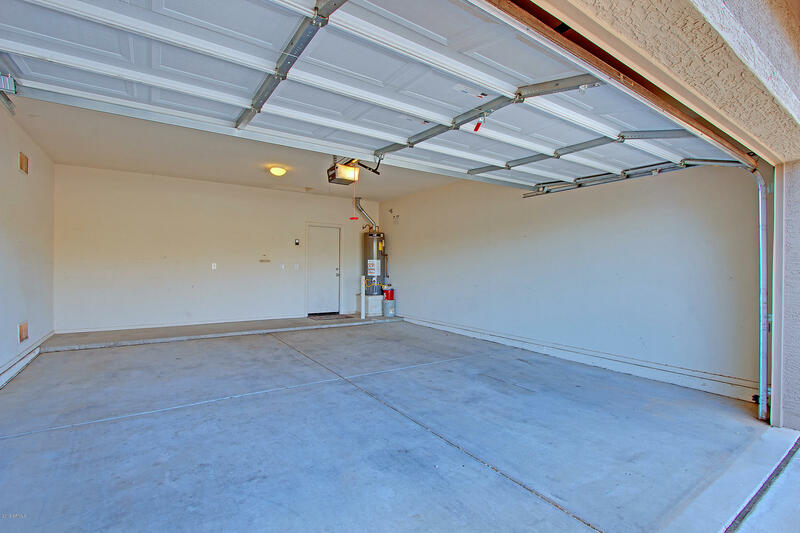 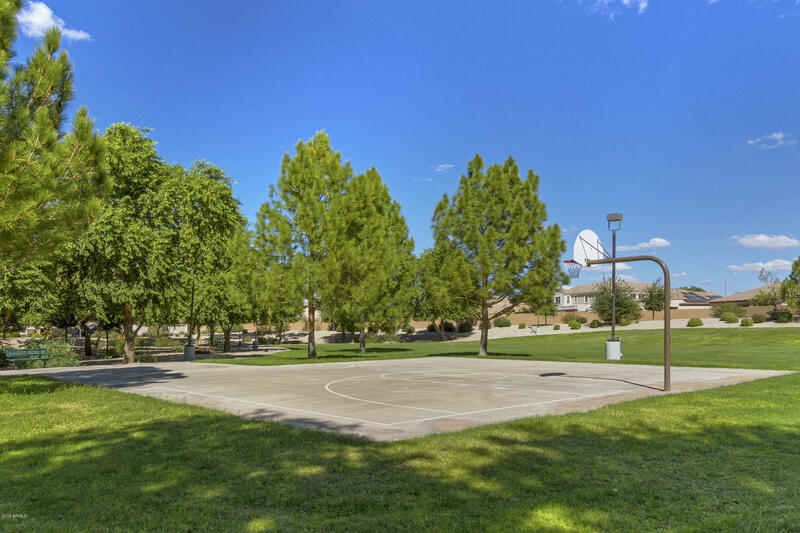 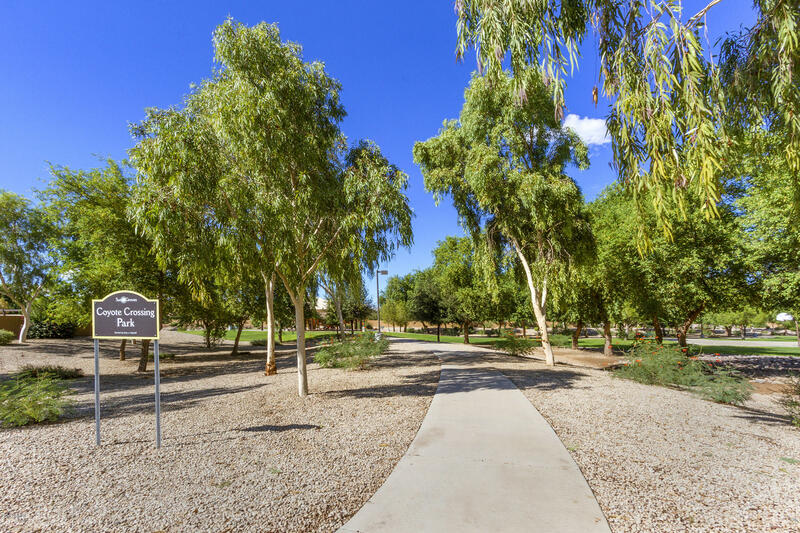 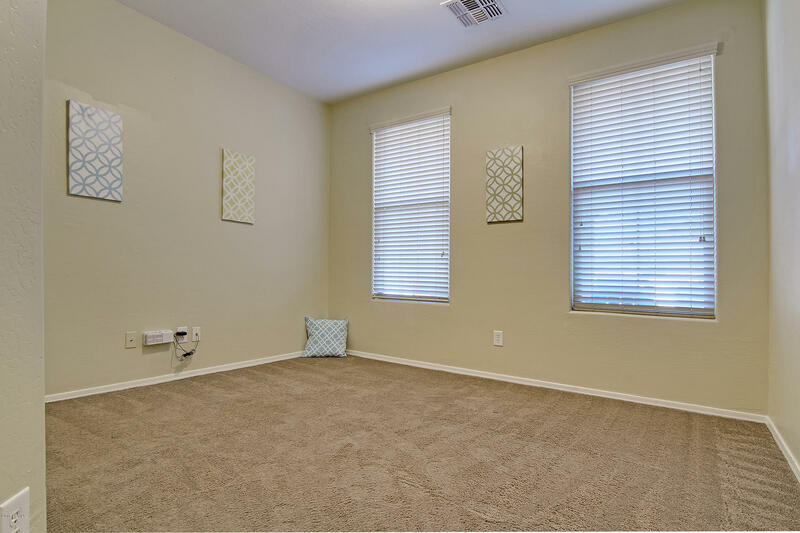 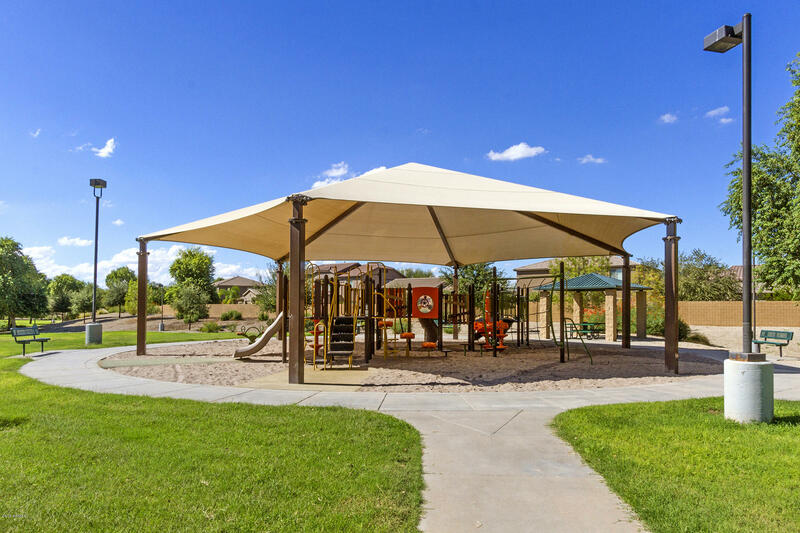 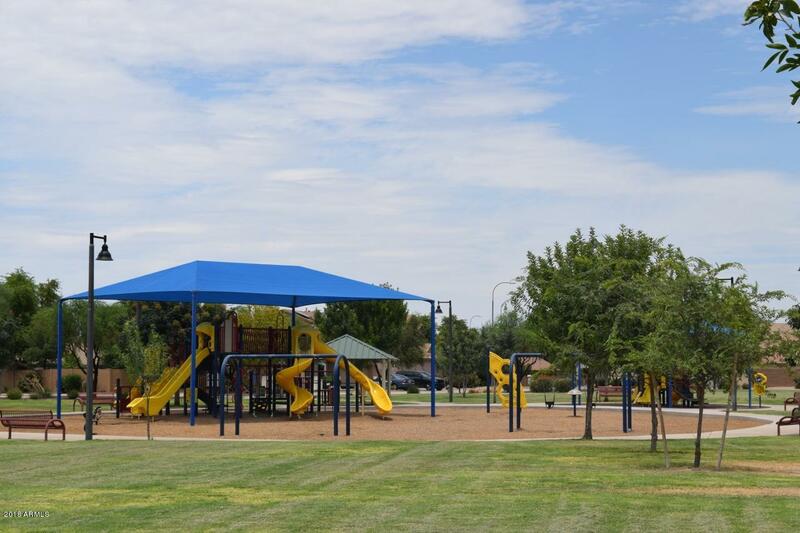 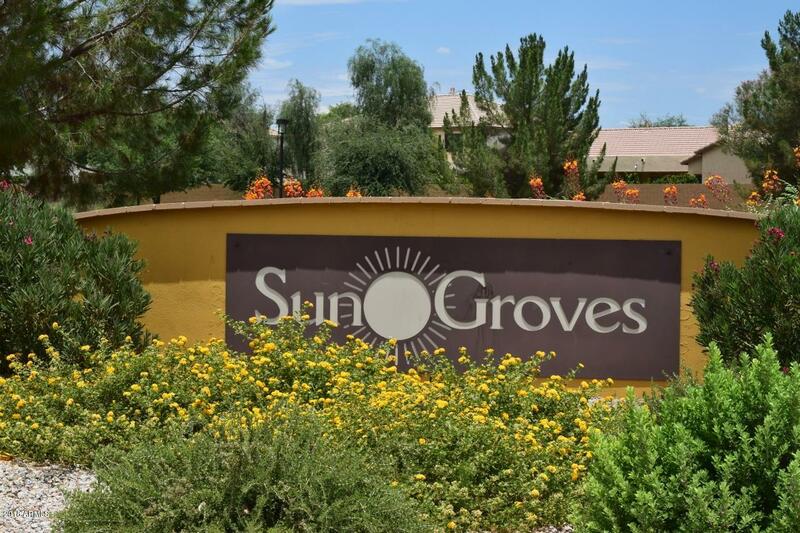 Beautiful Sun Groves community has elementary school within walking distance, large city park, and close to Mesquite Groves Aquatic Center. 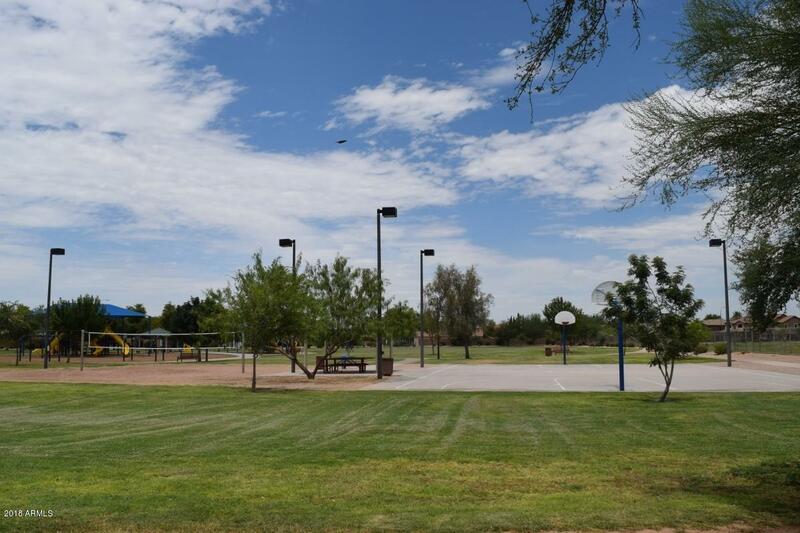 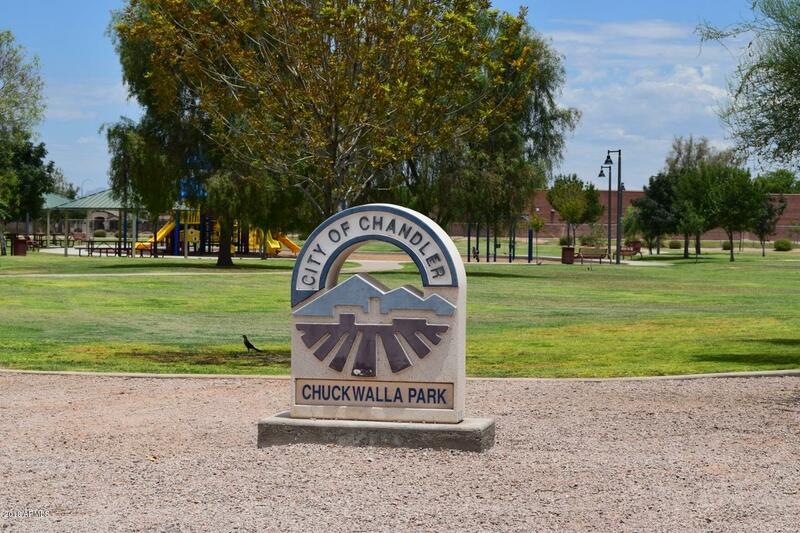 Highly rated Chandler schools.